This cocktail looks absolutely delectable. 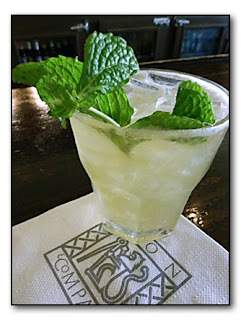 I never used to be a big fan of bourbon but now I'm a huge fan, especially of mint juleps. I like the use of the nectarines in this recipe too. OH MY GOD. happy hour rolls around along with a storm. we were researching a tropical storm drink but had no ingrediants. then we decided to try and use our fresh nectarines. low and behold we stumbled across this monday mixology and shrieked with glee. not only do we have the nectarines and all the rest of the ingrediants; we are big bourbon drinkers. and we just got done walking our beagle named daisy. keep up the good work jimmy!